594 pages | 370 Color Illus. 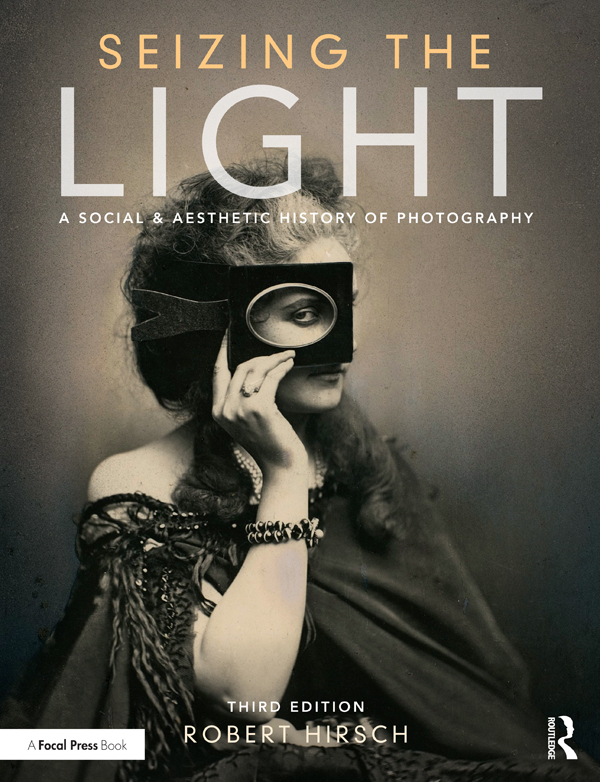 The definitive history of photography book, Seizing the Light: A Social & Aesthetic History of Photography delivers the fascinating story of how photography as an art form came into being, and its continued development, maturity, and transformation. Covering the major events, practitioners, works, and social effects of photographic practice, Robert Hirsch provides a concise and discerning chronological account of Western photography. This fundamental starting place shows the diversity of makers, inventors, issues, and applications, exploring the artistic, critical, and social aspects of the creative process. The third edition includes up-to-date information about contemporary photographers like Cindy Sherman and Yang Yongliang, and comprehensive coverage of the digital revolution, including the rise of mobile photography, the citizen as journalist, and the role of social media. Highly illustrated with full-color images and contributions from hundreds of artists around the world, Seizing the Light serves as a gateway to the history of photography. Written in an accessible style, it is perfect for students newly engaging with the practice of photography and for experienced photographers wanting to contextualize their own work. Robert Hirsch is a photographic imagemaker, curator, historian, and writer. Former executive director of CEPA Gallery and now director of Light Research in Buffalo, NY, he has published scores of articles about visual culture and interviewed numerous significant members in the photographic arts. His other books include Exploring Color Photography: From Film to Pixels; Light and Lens: Photography in the Digital Age; Photographic Possibilities: The Expressive Use of Concepts, Equipment, Materials, and Processes; and Transformational Imagemaking: Handmade Photography from 1960 to Now. A former associate editor for Digital Camera and Photovision, Hirsch has also written for Afterimage, Exposure, History of Photography, The Photo Review, Photo Technique, and World Book Encyclopedia, among others. He has curated over 200 exhibitions and has had many one-person and group shows of his own work. For details visit www.lightresearch.net.